The name of this Glitter Bay villa is Seize the Day, and that’s exactly what you and your plus one will do when you visit. It’s a single-bedroom, third floor condo that looks out over the Glitter Bay grounds, pool, and sea. The view alone is inspiration enough to seize every moment, which you can do straight from the balcony. The space inside is airy and intimate, but there’s still plenty of room to spread out on the cushiony furniture on the verandah, and in the living room and bedroom. There aren’t a whole lot of cushions in the kitchen, but that’s okay because you have room to work with all the state-of-the-art appliances you need. And since this is a part of the Glitter Bay Resort, there’s total access to the pool, tennis courts, fitness center, and beach bonuses like private lounge chairs and the beach bar. Seize your days by the water, too, and even take advantage of all that Holetown and Speightstown offer. 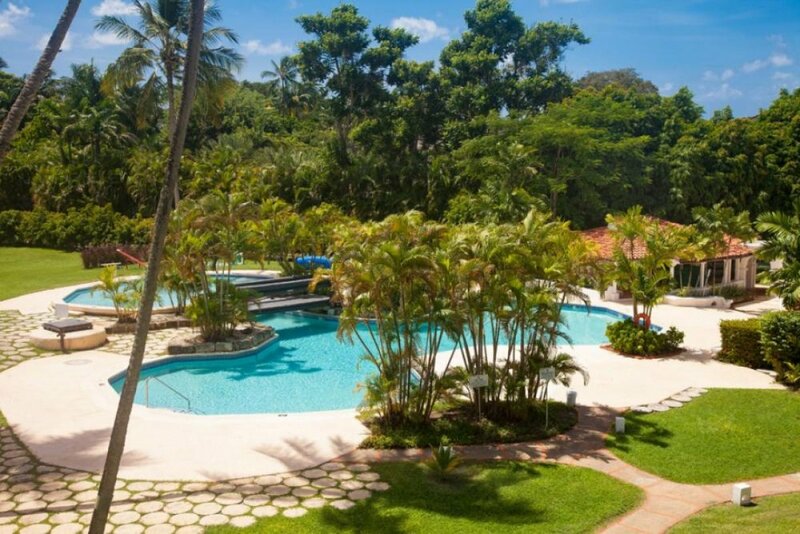 A charming condo located in the serene Glitter Bay Estate, “Seize The Day!” features gorgeous views of both the tropically landscaped gardens and the beautiful Barbados Sea. The one-bedroom apartment is light and airy, with an open plan kitchen and living area that leads to a covered balcony. It overlooks the communal pool and lush garden. The apartment is tastefully furnished throughout with tropical woods, light fabrics, and island-inspired art. The kitchen is well-equipped with state-of-the-art appliances and a seated bar area. There is elevator access to the home, which is situated on the third floor. Guests can enjoy their days by the gorgeous free-form pool, or on the pristine white sand beach. Holiday goers receive access to private loungers and an on-site beach bar. A fully equipped gym and two tennis courts are available for use and our friendly Concierge can help arrange any off-site activities such as golf, deep-sea fishing, watersports, or other site-seeing options. “Seize the Day!” is close to bustling Holetown in St. James, just a short 5 minute drive south. This area offers up excellent five-star dining options, luxury shopping, cinema and lively nightlife for adventurers. The quaint historic town of Speightstown to the North offers a more local experience, including museums and art galleries. Transfers not included in the cost of the rental. Drinks bar with cable TV 11.00 a.m. to sunset, lunch snack bar 11.00 a.m. to 3.00 p.m. (seasonal), flood lit tennis courts, complimentary day use, racquet and ball rental available, childrens' playground equipment and play area by wading pool and table tennis table.